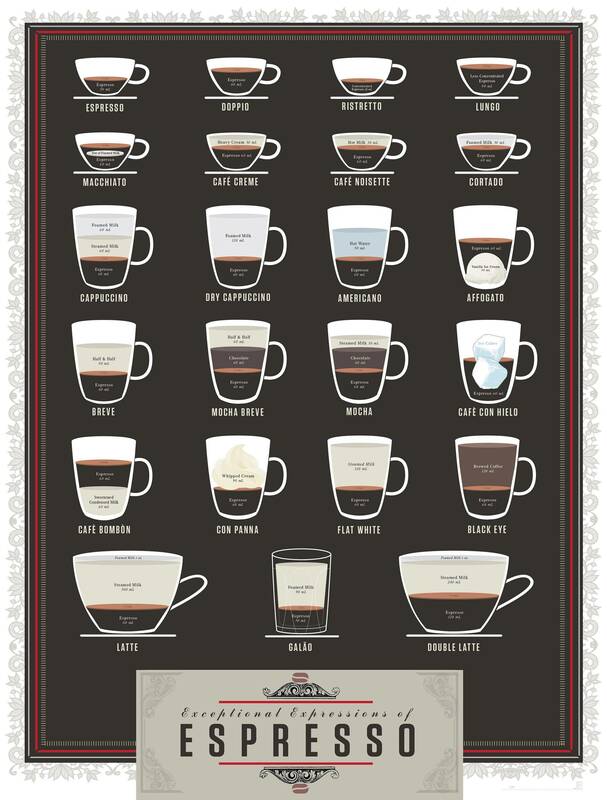 What is the difference between the following types of Italian coffee? A (caffè) lungo is 'just' an espresso prepared with more (twice as much) water than usual, making it less intense. A caffè corto, more commonly called ristretto, is the opposite: less water (half as much) is used in preparation than with a normal espresso, making it even more intense. For the macchiato, milk foam is added to an espresso; a cappucino has milk foam and steamed milk added to it. Another important difference, when you're in Italy, is that you don't order a cappuccino after 10am. Not the answer you're looking for? Browse other questions tagged coffee italian-cuisine or ask your own question. Differences between coffee made with french press or espresso machine? What is the difference between coffee grinds/beans labeled as “espresso coffee” and ordinary coffee? Does milk matter to achieve the perfect latte? Can bean-to-cup machine make quality espresso/cappuccino? Does this picture accurately describe different kind of coffee? What do I need to know about coffee machines and grinders to get started making good coffee at home? Is there a reason to have coffee grounds at the bottom of an espresso?